Most of your college admissions essay prompts have word limits. They tell you what is too long (example: maximum 500 words) or what is not long enough (example: minimum 250 words). Some ask you to stick to the number of characters, as opposed to words. Characters are the number of letters, punctuation marks and spaces in between. To get a “word count” in a Microsoft Word file, just go up to your tool bar and select “Tools,” and then “Word Count,” and you can get the number of words. Counting characters is a bit harder (Baylor University, for example, uses character counts for their essays). Here are a couple of helpful Web sites that have calculators where you can copy and paste your essay to determine how many words and/or how many characters. I think it’s worth checking and re-checking to make sure you follow the word or character count guidelines–if nothing else, it tells colleges that you can follow directions. If you have any better Web sites for this, please share them in the comment box. Thanks!! HOT OFF THE PRESSES!!! This coming year, 2011-2012, the word count requirement for the Common Application essay has CHANGED! It used to just say the essay needed to be longer than 250 words. Now they also require you to cap it at 500. So if you are smart, don’t dare go over 499 words!! If nothing else, staying within the limits on your college admissions essays and personal statements demonstrates that you can follow directions. 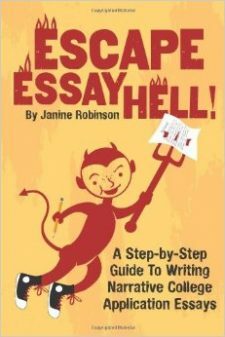 If you need more help and are just getting started on your college essays, try my helpful Jumpstart Guide.